Few offices take the grand steps to join the greenest of the green, whether anointed by LEED Platinum or the Living Building Challenge. These 10 soared beyond the low-hanging fruit to make major strides in efficiency, material use, recycling and more. Some structures on on this list were crafted to be sustainable from conception, while others underwent major renovations.Skanska's office building in southern Sweden, built on the site of a former farm, holds LEED Platinum certification from the U.S. Green Buliding Council, as well as the distinction of Sweden's first Deep Green building, based on Skanska's Color Palette for rating buildings. The $5 million office, made up of two three-level buildings connected by a glazed reception building, touts net zero energy and was constructed without hazardous materials. No construction waste went to landfills. A rooftop photovoltaic solar power system was designed to provide all of the building's electricity needs, and a ground-source heat pump feeds into the heating and cooling system. Construction and development company Skanska also selected heat recovery units that recycled about 80 percent of the heat from outgoing air. Layout choices use daylight as much as possible. Added together, the building ends up generating more energy that it uses over the course of the year, sending that excess energy back into the grid. During construction, leftover insulation was sent to the supplier to feed into future production, and waste concrete was used as filler material. More than half of the materials used were sourced regionally. 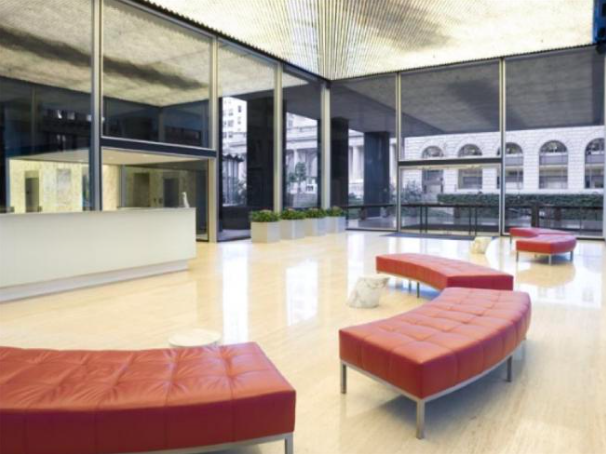 Taking up an entire San Francisco city block, One Bush Streetachieved LEED-Existing Buildings Platinum certification for minimal cost and without major renovations, partially thanks to renovations in 1990 that included asbestos removal. Recycling and composting programs -- helped by the city's robust recycling and composting infrastructures -- have full participation by all tenants and save about $25,000 a year. The 19-story building, built in 1959 and owned and managed by Tishman Speyer, is using 78 percent less water than similar buildings in the city. That's thanks to landscape design choices and a switch to manual irrigation monitoring. Building staff check on plants daily, watering only if it appears necessary. The native and adaptive plants have lower water needs and greater resilience to pests. A further $75,000 is saved each year through 11 energy improvements identified by a comprehensive test of the building's HVAC, lighting and electrical systems. All that was accomplished with a $94,000 investment, which, when spread over the building's 298,778 square feet of office space throughout 19 floors and three basement levels, works out to 31 cents per square foot. Renovations at Jones Lang LaSalle's Hong Kong office not only earned it the highest LEED Platinum score for Commercial Interiors in 2011, but also cut down on sick days taken by employees. The 27,000-square-foot office holds 95 of 110 possible LEED points. 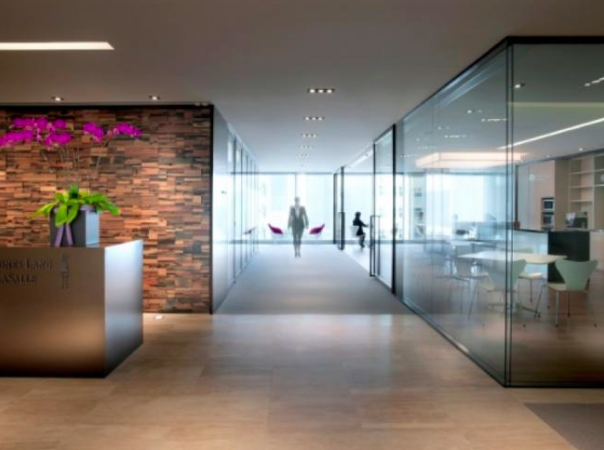 During the office's renovation, the global real estate firm gave sustainable and healthy materials priority, and sent more than 75 percent of the construction and packaging waste to be recycled. After being in the office for seven months, the company compared sick days from before and after the renovations and found a 32 percent reduction in employee absenteeism. In addition, through water and energy improvements such as daylight and occupancy sensors, energy was cut 13 percent while water use was lowered by 40 percent. 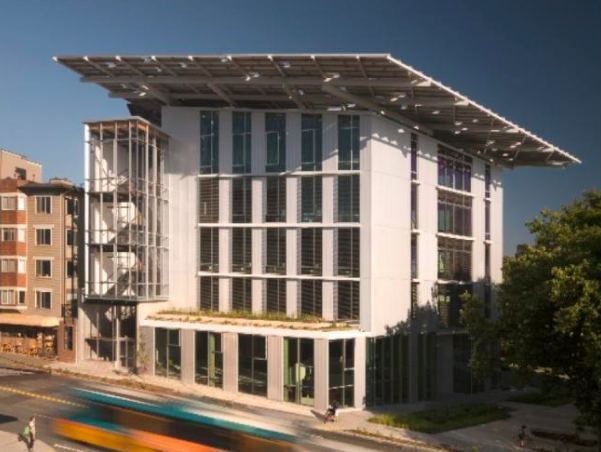 Aiming to meet the requirements of the Living Building Challenge, the Seattle Bullitt Center is being touted as the world's greenest commercial building. It's taking a different approach, much more ambitious than LEED certification. 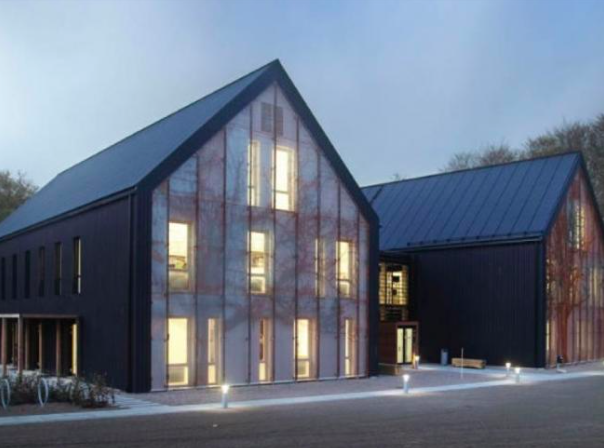 To bedeclared a Living Building, a structure must be self-sufficient for energy and water for a full year as well as meet standards for the materials used and the indoor environment. This six-story, 50,000-squarefoot building -- with tenants including the Bullitt Foundation, Sustainable Seattle and construction company Hammer & Hand -- was completed this year and is in the midst of the vetting process. A rooftop solar array that extends past the walls is intended to provide all of the energy needed. The building will source its water by using rainwater collected from the roof and stored in a 56,000-gallon cistern underground; water then will be filtered and disinfected before use. To keep energy use within what's provided by the solar array, tenants will be given energy budgets that they must stay within or else pay for overages. Outlet metering will give tenants insight about their biggest energy hogs. In tackling a different type of waste, the building features composting toilets that empty into basement anaerobic composters. 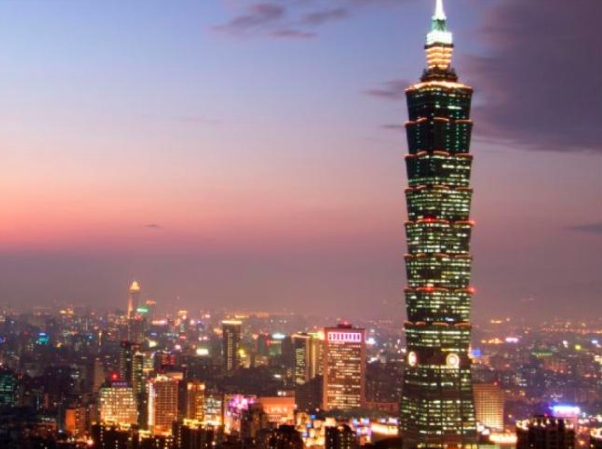 With 2 million square feet of office space spread across 101 floors, the Taipei 101 skyscraper achieved LEED Platinum status through extensive energy and water projects completed from 2008 to 2010. The tower holds LEED certification for Existing Buildings: Operations and Maintenance, and its tenant list includes Google, Merrill Lynch, L'Oreal, Bayer and Bank of America. The highrise converted to energy-efficient lights and lighting controls, with management and control systems allowing building managers to control temperatures, change the chiller plant schedule and alter the distribution of chilled water, all based on the needs of each tenant. That has allowed the tower to save more than $2 million a year through reduced energy use. Taipei 101 also features low-flow water fixtures (which, when used on all 101 floors, can add up to plenty of savings) combined with water management systems, which have led to a 30 percent reduction in potable water consumption. Cooper Carry's move to a new office in 2009 took the design firm from a suburban office building to a downtown Atlanta location, putting it in a prime walkable and bikeable location above a public transit rail station. The architecture and design design firm holds LEED-Commercial Interiors Platinum certification for the two floors it occupies in 191 Peachtree Tower, a 50-floor skyscraper. 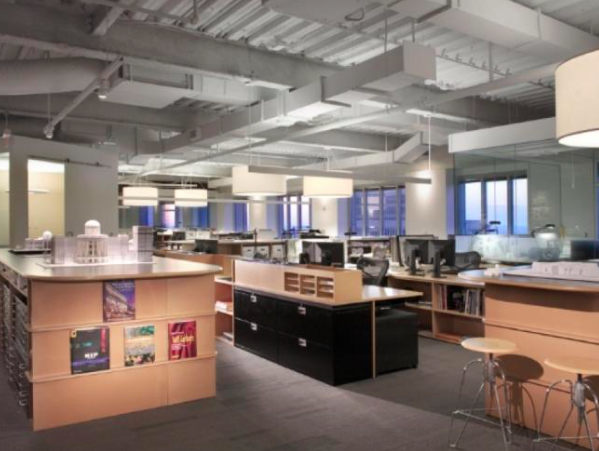 When planning the space it would move to, Cooper Carry maximized daylighting. Artificial lights, when needed, are daylight-sensitive, which has helped Cooper Carry cut its lighting power by 35 percent. Rounding out the office's energy use is an HVAC system with zoning features and a host of Energy Starappliances. When moving into its new digs, the company was able to ensure that 71 percent of energy-using items in the offices carry the Energy Star label. And all other materials, finishes and furnishings for around the office were chosen based on their sustainability features, pushing Cooper Carry's LEED rating to 44 out of 57 points. 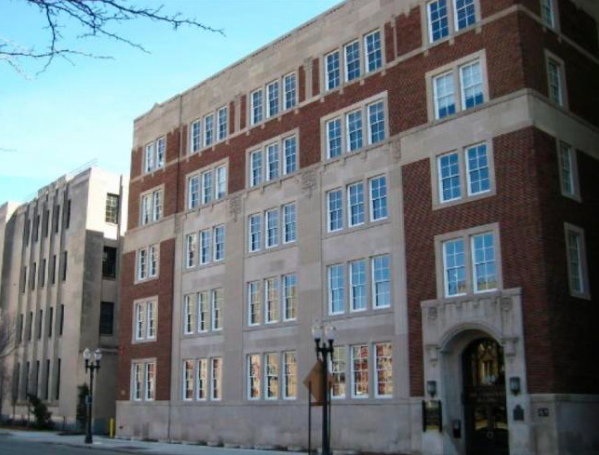 A major 2007 renovation of the Christman Company's six-floor building in Lansing, Mich., made it the world's first building to hold three LEED Platinum certifications, for Existing Buildings: Operations and Maintenance, Core and Shell, and Commercial Interiors. Housing three tenants, the building already had worked on its water efficiency and indoor environmental quality before aiming for the Existing Buildings certification. Re-commissioning and analysis of energy use and other systems played a major role in uncovering improvements in lighting, IT equipment, cleaning and even snow removal. Re-commissioning of the building's HVAC system helped to tweak scheduling and operations. Aside from energy use, the construction firm's building developed sustainable purchasing policies to focus on recycled, rapidly renewable and regional products, which has included local food vendors supplying lunches and catered events. And as for snow and ice, a regional matter not all LEED buildings need to worry about, the Christman Company replaced salt with magnesium chloride to lighten its environmental impact. 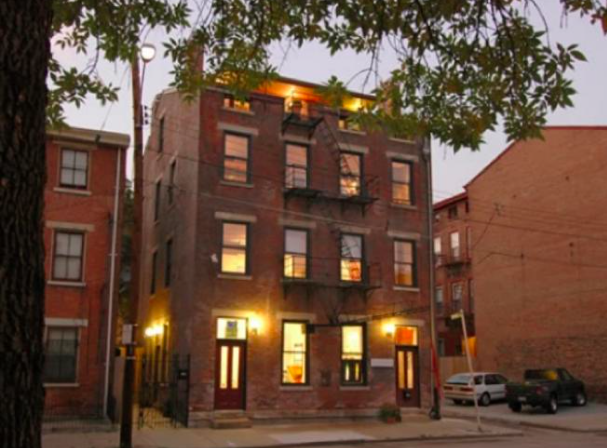 The desire of Lohre and Associates, a marketing firm, to meet LEED Platinum status for its Cincinnati, Ohio, office came out of work preparing students for the LEED AP exam through its sister company Green Cincinnati Education Advocacy. Meeting LEED-Commercial Interiors certification meant sending zero construction waste to landfill along with installing some unique features. A $3,500 sawdust pellet stove, placed front and center in the offices, occupies the second floor of a three-story building, in order to demonstrate renewable energy. To avert landfill waste, carpet scraps were sent to a recycler in Seattle and scrap wood was composted. Costs were kept down through reuse, such as by making old aluminum blinds fit by snipping some material off the ends. Among unique water-saving features, the office now features an adapter that creates a hand-washing station on top of a toilet, funneling that water into the toilet basin. All in all, aside from the pellet stove, Lohre and Associates expects a four-year return on investment along with a 25 percent energy savings. 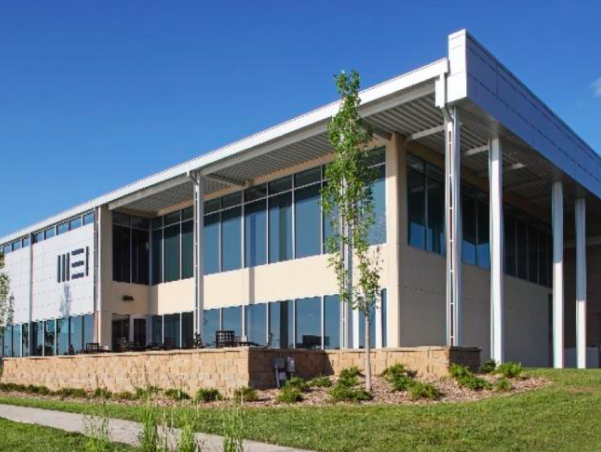 Morrissey Engineering selected a former tree farm in Omaha, Neb., as its new headquarters, choosing a site under development as a business park with public spaces and walking trails. The 4940 Building now holds LEED Platinum-New Construction certification thanks to a mix of renewable energy, water efficiency and energy tracking. A photovoltaic array and ground-source geothermal pump system meet some of the building's energy and heat needs, and a rainwater harvesting setup provides irrigation for the site. Individual sub-meters combined with real-time monitoring give detailed information on how much energy is being used throughout the building, in order to narrow down energy use issues. During construction, an infrared camera found wall areas with missing insulation and other problems that couldn't be seen with the naked eye. 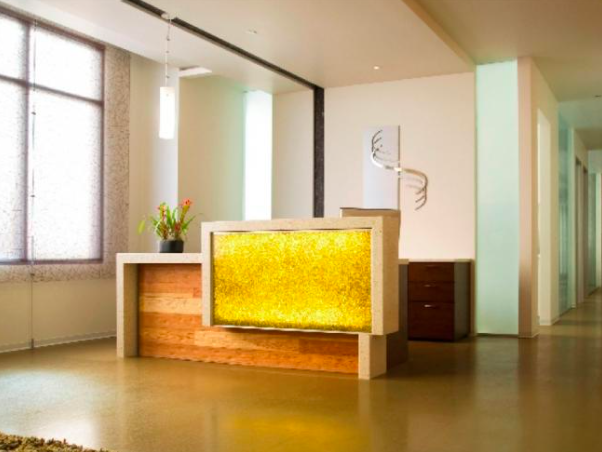 Energy Systems Design achieved LEED-Commercial Interiors Platinum certification for its Scottsdale, Ariz., office while working with constraints on what it could do to the existing building. Housed on the second floor of a downtown office building, ESD was not able to modify the windows or exterior, but found other ways to improve efficiencies, mainly because the company itself focuses on energy efficient design for building systems. ESD chose new lighting systems, HVAC equipment, energy controls and plumbing to have the most efficient products on the market. It also replaced 11 existing lower-efficiency mechanical units with seven higherefficiency units, filling in the four leftover spaces with custom dampers that also act as skylights. Other building aspects it could control were reclaimed wood for some interior walls, fully recycled countertops, rubber cork flooring tiles, recycled glass decor and re-conditioned furniture from a Tempe, Ariz., company. The building reached a total of 90 out of 110 possible LEED points for the improvements made in 2010.